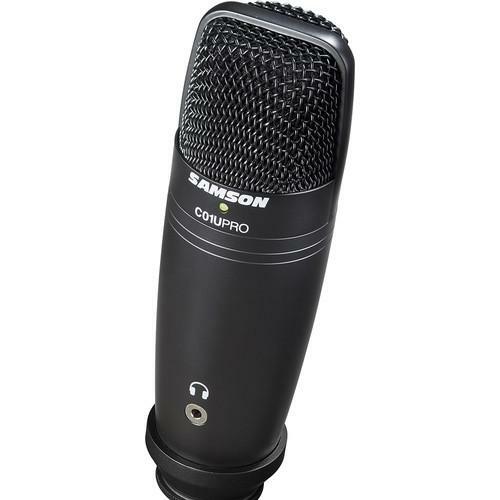 We recommend checking out our discussion threads on the Samson C01U Pro USB Studio Condenser Microphone SAC01UPRO, which address similar problems with connecting and setting up USB Samson. The user manual for the Samson C01U Pro USB Studio Condenser Microphone SAC01UPRO provides necessary instructions for the proper use of the product Pro Audio - Recording - USB. 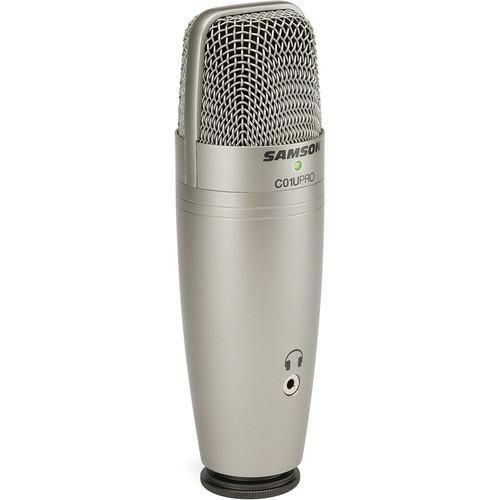 The silver C01U Pro USB Studio Condenser Microphone from Samson allows you to make high-quality audio recordings to your computer without the need of any additional gear or cabling. The C01U is USB compatible with any Mac or PC, as well as most DAW software programs, including GarageBand. It comes with Cakewalk's Sonar LE digital audio workstation software so you can get started recording right away. The C01U Pro's large, 19mm shock-mounted diaphragm with hypercardioid pickup pattern provides a smooth, flat frequency response. Capturing audio at 16-bit and up to a 48 kHz sampling rate, the C01U offers accurate, high-quality audio reproduction. The mic comes with a desktop mic stand, mic clip, USB cable and carry pouch. Box Dimensions (LxWxH) 9.685 x 5.748 x 2.756"
The user manual for the Samson C01U Pro USB Studio Condenser Microphone SAC01UPRO can be downloaded in .pdf format if it did not come with your new usb, although the seller is required to supply one. It is also quite common that customers throw out the user manual with the box, or put the CD away somewhere and then can’t find it. That’s why we and other Samson users keep a unique electronic library for Samson usbs, where you can use our link to download the user manual for the Samson C01U Pro USB Studio Condenser Microphone SAC01UPRO. The user manual lists all of the functions of the Samson C01U Pro USB Studio Condenser Microphone SAC01UPRO, all the basic and advanced features and tells you how to use the usb. The manual also provides troubleshooting for common problems. Even greater detail is provided by the service manual, which is not typically shipped with the product, but which can often be downloaded from Samson service. If you want to help expand our database, you can upload a link to this website to download a user manual or service manual, ideally in .pdf format. These pages are created by you – users of the Samson C01U Pro USB Studio Condenser Microphone SAC01UPRO. User manuals are also available on the Samson website under Pro Audio - Recording - USB.